Circa: Believed to be form 1930's or 1940's. A large bakelite ammeter. 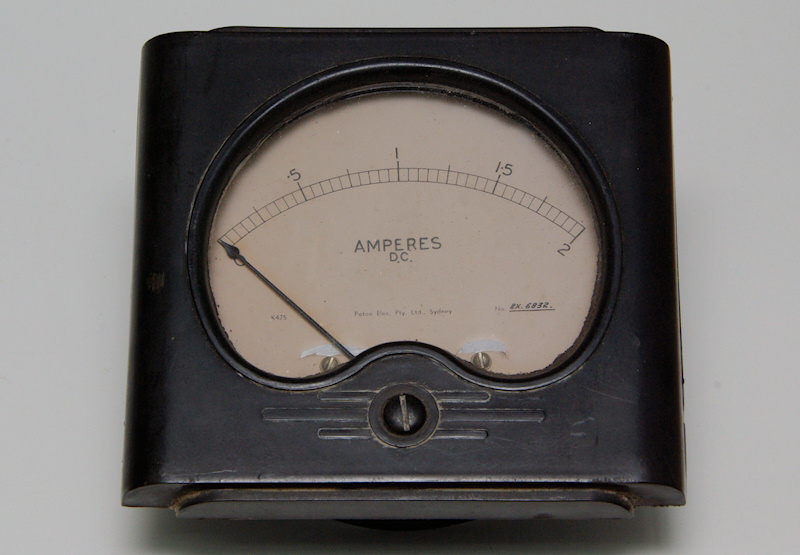 2 Amps full scale deflection. 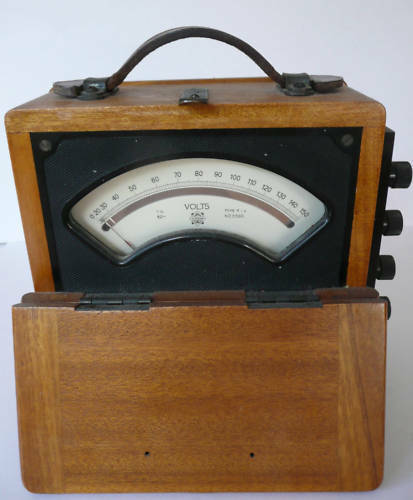 Believed to be from a 30's or 40's vintage AWA radio transmitter. 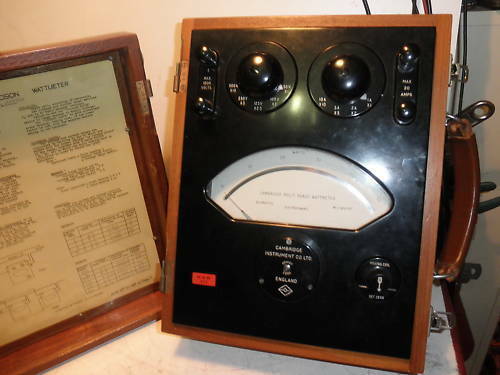 Manufactured by: Weston Electrical Instrument Co., Newark, New Jersey, USA. 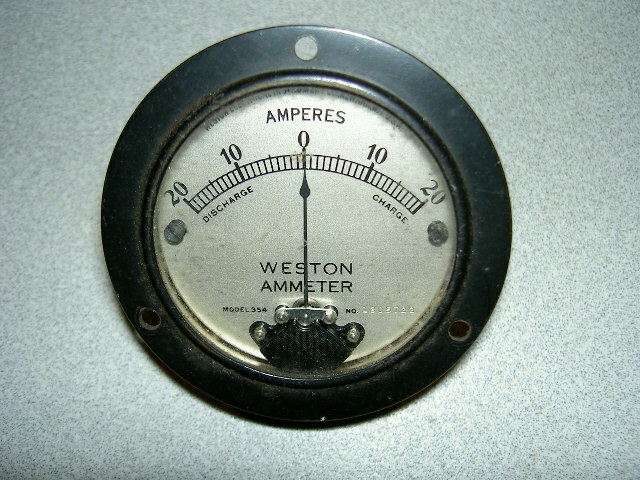 Model 354 Weston Ammeter. 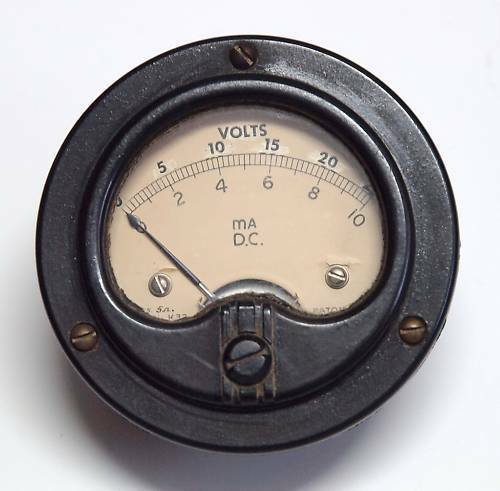 Measures DC Amps -20 to +20 with a centre zero. 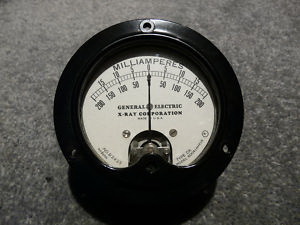 Marked with Discharge on the LH side and Charge RH side.